Pros: I love that this software is available on mobile devices, iOS and Android. The desktop app is extremely helpful for when you need to make several calls working from a computer, but the mobile app makes it easy to take those calls wherever you are. There have been times that I was working out of the office and used the Zoiper app to stay in contact with customers. Why not use my cell phone? Because the Zoiper app syncs my office phone with my cell phone, which is useful for making calls with international clients. We also use Zoiper for training. We can use of office phone system to listen into phone calls, which is especially helpful when training our outbound sales and sales development teams. We can visually see who is on the phone, then dial the extension on our mobile, and move around freely without being tied to the desk. Cons: Sometimes the device has issues connecting to our server. I don't know if that is a "them" problem or an "us" (internal systems) problem. Usually, the issues are resolved quickly. Restarting the app seems to do the trick. Overall: We have been able to more effectively scale our training efforts as our teams can listen to live phone calls more easily to learn best practices. This tool has also made it easier for our remote employees to communicate more efficiently. Pros: This VoIP application has all the options one can think about for a VoIP phone. Cons: It is user profile based, so if the user lock his computer with zoiper ON and another user login to the same computer, the new user zoiper doesn't work. Pros: It was always hard task to grow customer care center in the moment of scaling. Application integration with SIP clients always required additional knowledge and expertise for this kind of integration problems. Moreover, having proprietary SIP clients, that are limited by number of sessions or updates were nightmare. Having ZoIPer makes this growth easier. You can use free SIP client and set up by your self very complex SIP based centers without any payments. Of course, it is very integrable and intuitive for end users. It is supported on different operative systems, even on mobile platforms, allowing completely new set of functionalities for end user, in my case contact center. Cons: Design is not something that ZoIPer can be proud of. Application looks as a legacy form '90s. I believe that some good improvements could be implemented from this point of view. Overall: Simple, affordable and great SIP solution that allows end users to grow. That you can use the free version and it works quite well, although the version that is paid has more features and improves communication, it can be installed on mobiles and pc, and you can make calls in conferences with very good audio. Cons: Sometimes the software has closed unexpectedly, but I simply open it and it works again. The screens are not as elegant as the others I've worked with. Overall: I have been able to make VoIP calls to different countries for work without problems, when I travel I have it in my mobile and can communicate using the internet. Pros: I like everything from zoiper facilitates virtual communications, although I would like them to release only one thing for the free that would make it the best of the best. Cons: In version 5 I would like to have enabled the option to join other people in a call. that would be great, with this option active in the free version would fly the statistics of zoiper. Overall: zoiper is an excellent softphone, it has helped me a lot in my daily tasks, also personally. 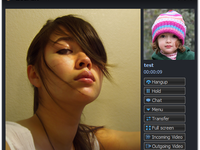 But you only need for the free version in version 5 to be able to join more than one person in the call. Cons: The User Interface can be made more appealing to users. On my PC once I disconnect my headphones and get them back, the software doesn't switch the speakers to headphones you have to go to settings then audio to select speakers. Also can't use same account on multiple devices. Overall: Zoiper has been helpful softphone, no need to buy hardware phones at our organization. Getting it for free has been great and paying a little more amount for more features. Pros: easy to use, needs just basic configuration to have it running, Zoiper client work in your PC and allows you to run your business everywhere you need. Allows to use private Asterix service if got one. Cons: not really a downside but a reminder: the client allows for configuration with service providers even an own Asterix server. The rates for calls and LD are a separate service that may need to be contracted in addition. Cons: Perhaps the design could be improved aesthetically but in terms of the functionality it is perfect. Pros: ZoiPer has given us the ability to dial multiple phone numbers from the computer, opposed to dialing numbers on a traditional desk phone. Paired with our high-speed dialer software PIMSware, one sales agent can call up to five phone numbers simultaneously and the first one to pick up will be connected. We have used ZoiPer plainly for its VoIP ability, but I have noticed there are a lot more features with the mobile version. I have used it on a tablet for business communications, and it presents itself to be more professional than say Skype or Messenger. Cons: The appearance/design of ZioPer looks outdated. It is reminiscent of the mp3 player WINamp from decades ago. Other than that, I have no complaints of it's functionality. Pros: Zoiper is really easy to use since you have at first sight what you need to make a call and the interface is visually friendly so you can find fast options like on hold or conference. It's helpful the fact you can see always the quality of the current call, this helps since if the call is breaking up you can know if it's because of you or the other person fault. Cons: Sometimes the software does not open automatically so you need to look for it but you might lose calls on that process. When you have an incoming call the program should pop up right away instead of just light up or have higher sounds, anything so you can put attention to it. Overall: It's a cool software easy to use that works for having a low flow of calls. A good soft-phone service ready to be installed in minutes. Pros: 1) Its simple and easy to install. 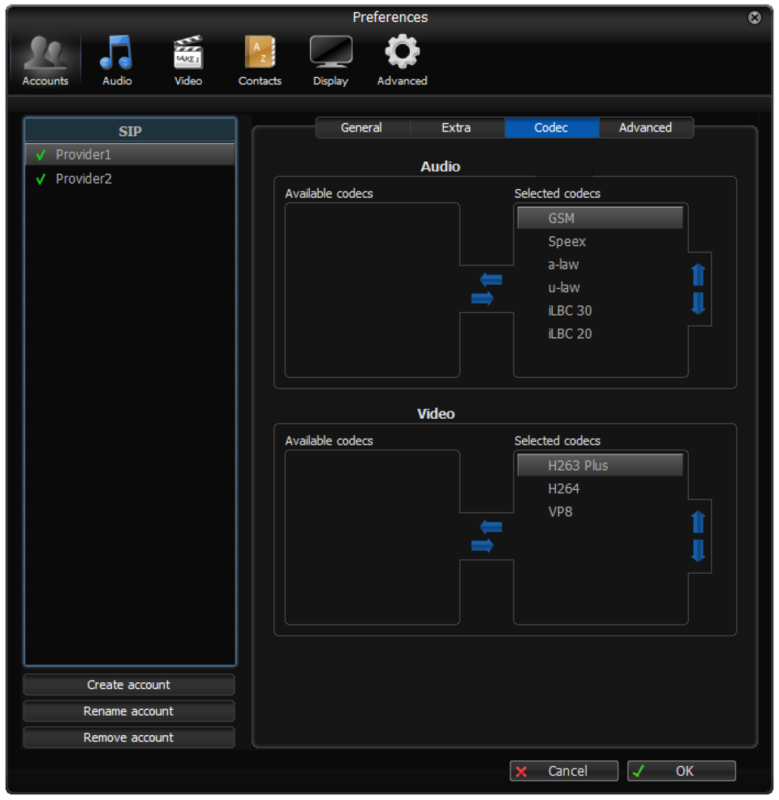 The audio and Video quality can be managed easily according to your network capability. 2) Works best on all the OS, which is the perfect thing to have if you have a test environment setup on multiple OS. Cons: 1) Interface could have been better. Its not very user friendly even for the latest build. 2) When unable to register the phone, it should throw more vivid errors than it does right now, if that's possible. It just helps customers know where are they going wrong and can quickly made amends. Pros: I like the ability to set my audio on a per device basis, when working with multiple audio devices it is nice to set volumes accordingly. Cons: There isn't currently a dark theme which when working for long periods of time does cause eyestrain. Overall: Overall Zoiper is a solid Sip/Iax system and there have never been any connection issues. This is used everyday in my place of work and is the go to for this. Pros: Easy to use, easy to configure. Works well with our predictive dialer software. Also works well with other software as a click to dial once configured. Cons: If you unplug a USB headset and plug it back in, sometimes you have to close and reopen the software. One, I could configure the audio codec in order to enable me to successfully make voice calls over a very weak internet connection. Two, very clear and intuitive settings made it easy to configure the app to run in the background, so that I could always receive a call when it came it. Pros: Free version doesn't have any drawbacks. The ability to test whether the headset is working in the software is fantastic. 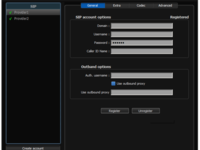 Cons: It would be nice to be able to add multiple accounts in Zoiper 5 without paying. Other than that nothing. It works great. Pros: this is an awesome VoIP client. It has features galore. I use it with my work's Cisco phone system in the office on my Android phone. Call clarity is superb and it functions flawlessly. Cons: It is a little pricey for the pro version in my opinion but it is high quality software. It would be more worthwhile if 1 license would work for both the android client and the client on the computer then i would go for the pro version. Overall: I got this so i could hear my work phone ring when i was on my noise canceling headphones that are attached to my cell phone and it has worked great. Pros: This soft phone integrates with so many PBX's and has a mobile app to keep your business and personal phone separate. Pros: It is very easy to use. When the call enter you can see the number, the category, you have the possibility to accept or reject it or you can hold it. So it is like a real phone in your desk. Cons: The inconvenient I remember is that the only status in which calls do not enter is offline. In any other status you put, in break or unavailable, calls come in the same. 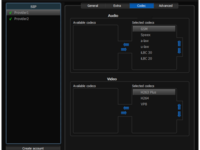 Pros: easy handling, simple interface, you can make audio and image changes in a very simple way, by changing the IP or proxy ports allows you to do it in a quick way. Cons: that somehow when the computers are suddenly restarted either by disconnecting the power, it easily loses the ip or the domains. Overall: I use this sofward basically daily for my work. Overall: We tried with other software and havent the same results. Zoiper has so many options for call control and recording. Is a totally stable softphone we use it with 4 kinds of pbx and works with all. Pros: Very lightweight and does not cause the PC to hang Premium version for Android is very affordable. Supports multiple protocols hence very flexible. Cons: PC version has minimum features hence fewer functionalities that require premium license. The user interface no very appealing and may need to be improved. Pros: ZoiPer is perfect for managing a call center in that enables the easy and efficient solutions for inbound and outbound calls. Simple to use, configure and store contacts. Pros: I like zoiper because it is a very useful tool to keep connected with any part of the world quickly and without a telephony operator. Cons: Maybe at some point late in connecting the call but it is a very good tool. Overall: I recommend it totally you can communicate with your clients, supervisors, suppliers or technicians of your protectos in an easy way and from your own network, besides that it can be used for personal use. Pros: It is a super agile softphone, easy to install and very easy to use. It fulfills the main objective of the application which is to provide an interface to use VoIP, in the comfort of the computer or on a smartphone. Cons: The free version has its limitations, but it complies with the minimum functions to be able to work. meets its objective and facilitates access to less experienced users. Overall: In the modern era, where all communications travel through the network, they allow us connectivity through voice, which use resources that are currently of first necessity for both commercial use and personal use. Pros: Zoiper is a helpful dialer. I have used this back when I built up my homebased company online. There is no issue in audio settings. It is clear. Cons: Zoiper is not that easy to download. I had a hard time choosing what type of dialer needs to download for my windows. There are lots of options in their website which is very confusing. 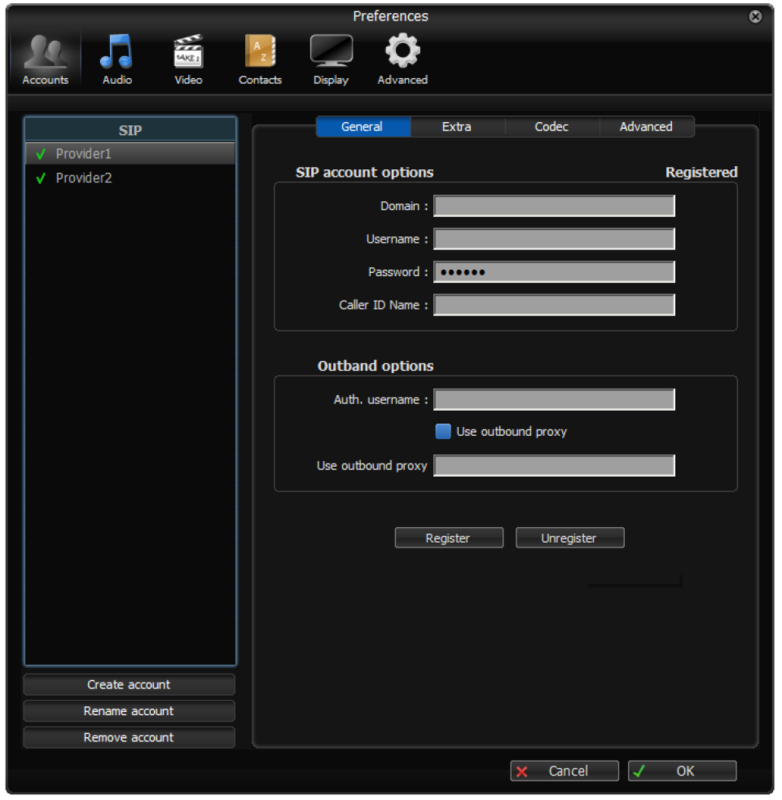 Pros: The software is very useful und has an nice, clean interface, which makes it very easy to use. Cons: The log-in process is very complicated. You need to enter a lot of numbers and codes and stuff no one understands. Also the connection is quite fragile and the program can get problems with certain internet providers. Pros: I have used the mac, pc, iphone and ipad version of this software. It is solid, easy to install, easy to setup. You can have more than one line setup, it will allow for a good call experience. Cons: No cons on my end. Zoiper is a solid company with solid products, their pricing is right and just. Pros: Used it a few times in office environment when there was no IP phone available. Easy to use and configure. Did not use many of the extra feature except for the phone. Cons: None that I can see for the way i used it. Overall: Installed on local computers to be able to make and receive calls. Also used for testing environments in a PBX setup. Pros: The benefit of ZoiPer is its functionality is quite solid, the options are clear and easy to understand. How fast the system is impressive. Cons: There are several things that ZoiPer can improve, first the functionality, you can add functions of all kinds, to make the platform more comfortable for its users. Second, the aesthetic part of this platform can be greatly improved, from the colors used, to the contact bar. This platform is for daily use so I think it should be much more comfortable, as the beginning should make it more friendly. After all, I think that ZoiPer must diversify, applying new functions and amenities for its users. Overall: ZoiPer has given me benefits like they are, good relations with my clients, how quickly I can handle calls, the audio quality of the call is great. In spite of the few functionalities that ZoiPer has, I have been able to take advantage of them, by using these features in the middle of a conversation. They seem great to me, and I think they should add more to make the platform more user-friendly. Cons: Push notification it's a little expensive, especially if you rarely use it. Maybe will be better a per-use prepayed charge. Once understood this software is efficient and comprehensive. Pros: I really liked the fact that the user can pause when they are away from work and resume easily. Moreover, the weekly report is helpful, especially for independent contractors who need to submit a bill to the client. Cons: It took several days before I got the hang of how to control the software's pausing function. Sometimes it paused my time if I was reading something from the client. 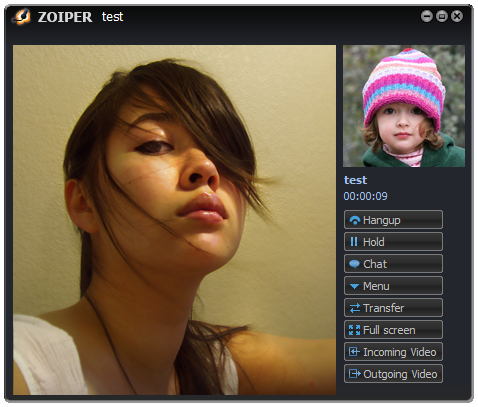 Regularly using the Zoiper VoIP phone application, which is easy to use having basic functionality. Pros: It is easy to set up having simple interface. The most utilized functions are available with single touch. Works best with all types of PBXes. Cons: Voice and video quality is average. It has limited functions and the advanced functions that are incorporated are cumbersome to use. Overall: My team communicates through this software on day today basis. Its our simple communication tool for all levels of personnel. Overall: We used this for a huge telesales team. I think that was not Zoiper's intended purpose, and I wouldn't recommend anyone use it in this way. Pros: Zoiper 5 you can download it as many times as you need to as many devices as you want. Light on memory and clear voice. Quick support response. Cons: You might find some of the features difficult to set up. Need of more than one VoIP provider for best call costs when for different countries. Pros: i liked how the settings was detailed that i can almost control every single feature. Pros: The free of charge version is not limited to the very basic functionality only. Cons: I want a skin that shows call control buttons and call history in one place. Perhaps it exist, I have not put much effort into looking for it. Overall: If I need a softphone on a PC or a smartphone I choose ZoiPer. It simply contains all I need in an easy to use form. I recommend the phone also to our customers. Pros: This software does exactly what I need it to do, make simple calls. You cannot transfer any calls without paying for the premium version. Cons: The license is specific to the exact computer. If you change computers, you will have to purchase the premium license again to use the software. Not to mention, getting answers from customer service is like pulling teeth. Comments: Definitely recommending this software. Pros: This software is cheap compared to other solutions outthere. We switched to Zoiper and it saved us significant amount of money. Cons: You may need to spend some time in the beginning to get everything set up and running, and to figure out the settings. Pros: The updated User Interface certainly attracted me to the product, giving the impression of a well-thought-through product. But as soon as I tried to use, it technical errors made the platform impossible to use. Cons: Very unstable and unreliable. I couldn't answer calls. When I would click on a contact it wouldn't dial the contacts number. While I don't envy any developer who has to program for multiple platforms, the various issues encountered in multiple core areas of the software suggest that they released far too quickly without really testing the product sufficently. Overall: Horrible. Didn't even have to wait a day to encounter issues. The issues and struggles become immediately apparent. Pros: Allows a great flexibility when using mobile communications all over the world. Cons: The colors of the program are not subject of customization. Pros: The nicest thing about this software is that I have a phone application that allows me to listen to live examples of coworkers calls. Cons: The thing I don't like about this software is that the app tries to import my personal life contacts and it is open or running when I haven't selected it. I have to exit the app a couple times a week. Overall: From a sales perspective your always looking for what I can do better. This allowed me to listen in on other coworkers and gain tips. Pros: This software I'd call compact, it has all basic functions like call holding, phone dial function, address book, call history, it's nice that it has also sound level bar. Cons: The least in this software I like that some features such as do not disturb, conference, voicemail check, are available only in "zoiper biz." mode which I guess is not for free. The last but not least is its design, which is very outdated. If you already have your VoIP solution and need a softphone only, Zoiper is for you! Pros: I like the fact that it's compatible with any VoIP solution as long as you get the right credential numbers and hook it up in the right way. The set up instructions are very self-explanatory and easy to follow. Once you're set up incoming calls and outbound calls are easy to do. Cons: Their customer support is based in New Zealand and that makes it almost impossible to get help during american office hours. Pros: I like that it's easy to use and user friendly. I like that it makes it so I can take phone calls from the same number from almost anywhere. Cons: It is hard to do international calls, and sometimes the call quality isn't great. Isn't great from remote areas. Pros: The sound quality of Zoiper is good. Setup of the app is pretty straight forward and a beginner to VOIP shouldn't have any issue setting up. Cons: The default UI is ugly. When streaming music and getting a call it switches the output of the music to the earpiece. Loses authorization constantly.